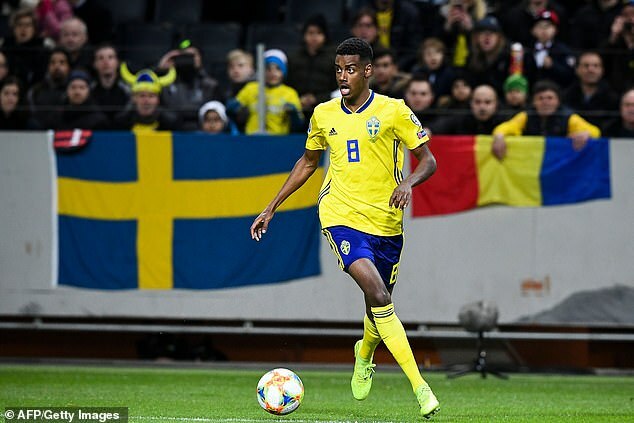 Chelsea are keeping tabs on Borussia Dortmund striker Alexander Isak, according to The Mirror. The 19-year-old is currently on loan at Eredevisie club Willem II and Blues scouts watched him in last week's clash with Ajax in Tilburg. The Swedish forward has scored 12 goals in 12 games since moving to Holland in January. Isak's 6ft 3in frame and quick feet have seen the forward compared to Zlatan Ibrahimovic. The Stockholm-born forward was being watched a host of clubs at first club AIK before Dortmund paid £14million for him in January 2017. Isak's opportunities in Germany were limited and he was loaned to Williem II in the new year. The star's parents are from Eritrea, but he has already won four caps for Sweden. Chelsea are searching for a young striker after bringing in 31-year-old Gonzalo Higuain on loan from Juventus in January in a deal which includes an option to make the move permanent.